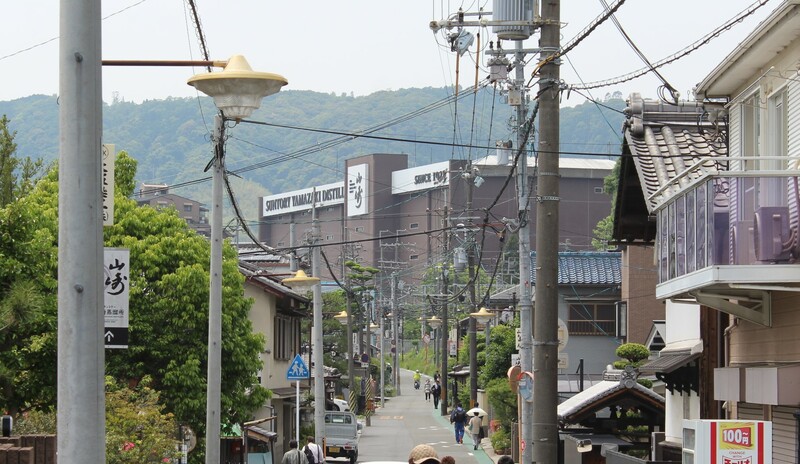 Yamazaki Distillery as seen from down the street. I am a sucker for a good distillery tour. I was like a kid in a candy shop when my partner and I went to Scotland and I had the opportunity to visit Talisker, and I fully intended on visiting a distillery while in Japan. The real question was — which one? While I tend to balk at hyped whisky, I nonetheless found myself drawn to Suntory-owned Yamazaki in no small part because a few years ago Jim Murray ([in]famous whisky reviewer) picked a Yamazaki as “World Whisky of the Year” (something he also eventually gave to the very good Northern Harvest Rye). Whether or not it deserved such accolades I’ll leave for others to decide. 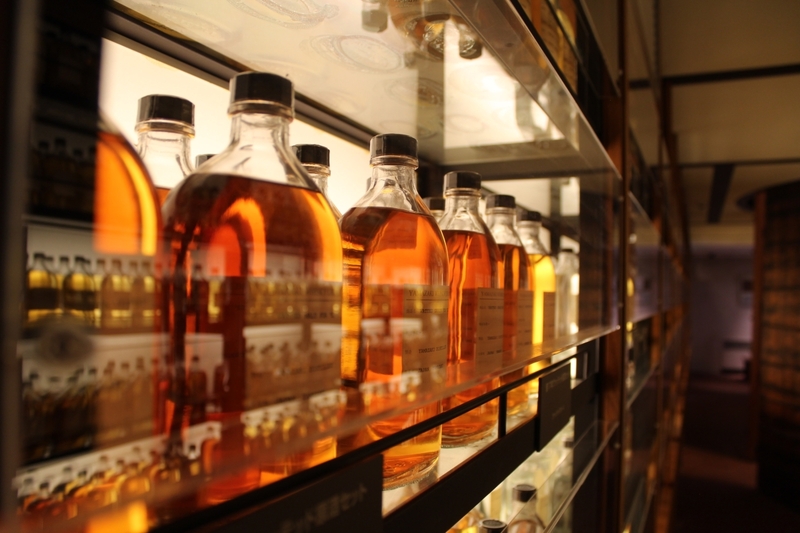 For me, I was just ready to see behind the scenes and enjoy a cheeky afternoon dram or two with a Yamazaki Distillery tour. And who better to accompany me than my one-time intern Andrew? What he lacked in appreciation for whisky, he made up for in being an excellent travel companion — and an unbiased palate to bounce questions off of. 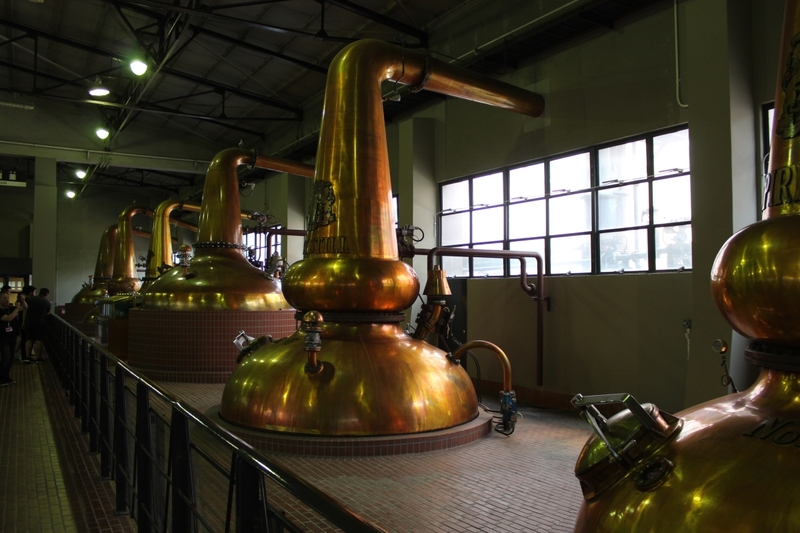 After a relatively brief train ride and a walk through a quaint Japanese town, we arrived at the distillery. We were a touch early for our tour which was more than fine — we got to visit the whisky museum they have which contains bottles and info on multiple Suntory brands. With the help of an English-speaking guide who was remarkably knowledgeable (and patient with ignorant whisky tourists like myself) we walked through the stills room which was SWELTERING hot. If Talisker’s room was warm in the cool Scottish air, Yamazaki’s could have charged for the use of a sauna. The stills were particularly interesting here, because they were different shapes and sizes, each to produce a distinct type of whisky that would be blended into the final beverage. The barrel room was a welcome relief, with it’s cellar-like coolness and quiet. It was of particular interest because alcohol fumes from the aging barrels were thick in the room, and you could taste the booze every time you inhaled. I’m willing to bet if you spent enough time down there you could leave with a decent buzz. All in all the tour was fairly brief (relative to the Talisker tour I did) but didn’t seem to be lacking in any information. 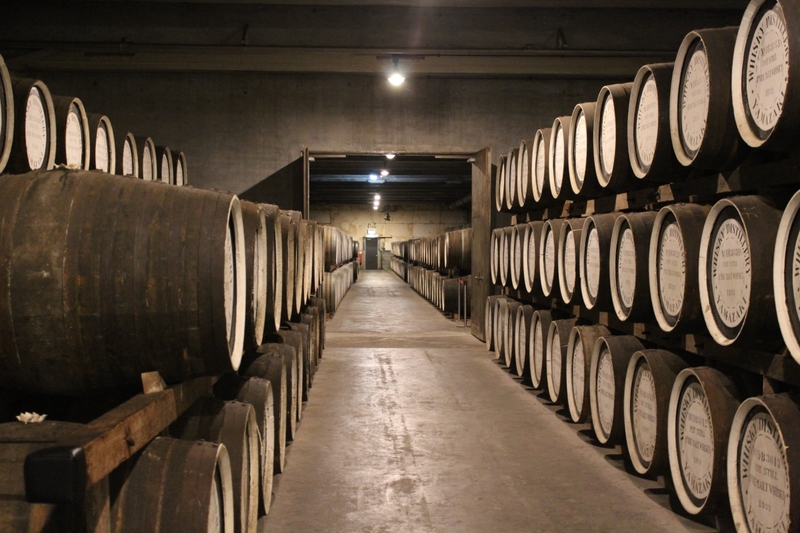 Not to mention, it allowed us to get to the main reason anyone tours a distillery — the tasting. This whisky tasting will always hold a special place in my heart for introducing me to one of my all time favourite beverages — a classic highball (but more on that in a minute. Following the tour and a walk through a lovely garden, we arrived in the well-appointed tasting room, and sat down to four different nosing glasses with a slug of whisky in each. The first two we tried were component blends of their whisky, which were combined and aged to make a single product. It was very interesting picking out the unique characteristics of each, and wondering how they might be combined to create a product greater than the sum of its parts. The third dram we tried was the very good Yamazaki 12, which was bursting with sweet fruit like peaches and pineapple. The last glass was filled with considerable more whisky than the preceding three. This was to make our highball with in the traditional Japanese way. A precise amount of ice, a measured dose of whisky, the correct amount of soda water, and even an exact number of stirs. Normally I balk at adding water to my whisky, but in the humid heat of Japan, I think it was impossible to sip on a more delicious beverage. All the whisky goodness, with the refreshing effervescence of soda water — I couldn’t recommend it more. 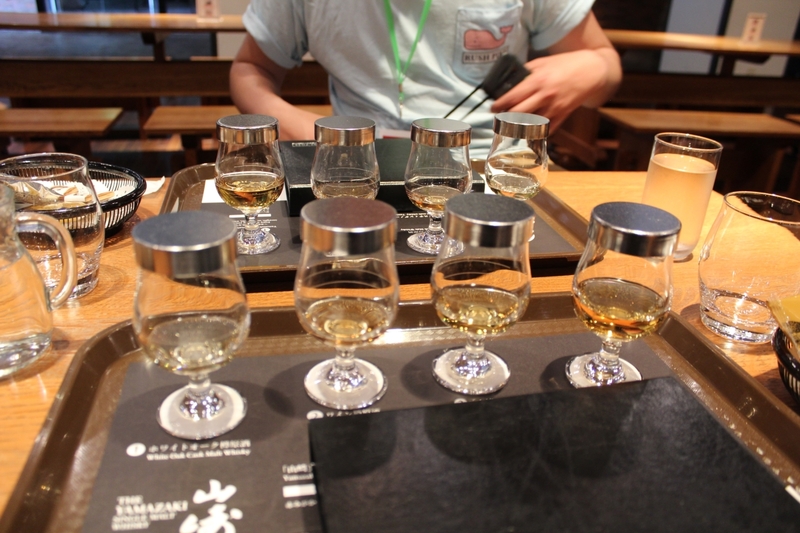 All in all, our Yamazaki Distillery Tour was more than worth the price of admission. I learned a bit about how Japanese whisky production varies from Scotch, and had the opportunity to have an in depth tasting where I discovered a new favourite drink. 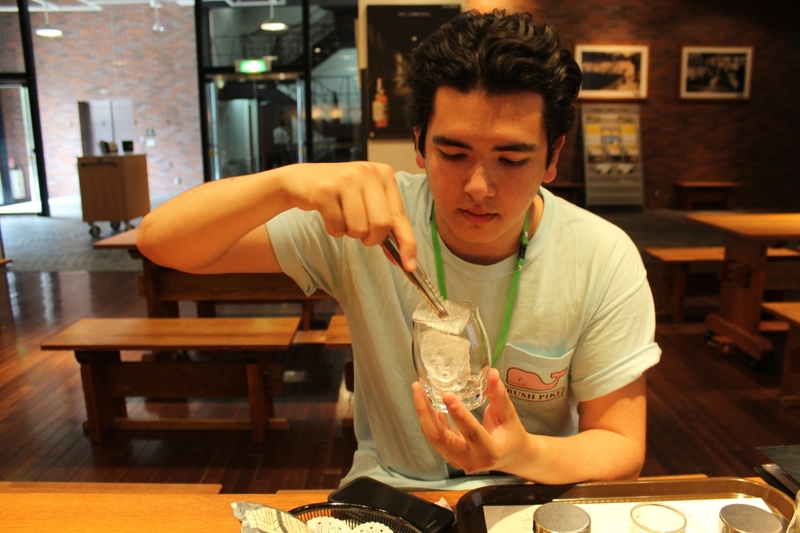 If you’re in Japan, I’d recommend stopping by and sipping some Yamazaki slow.